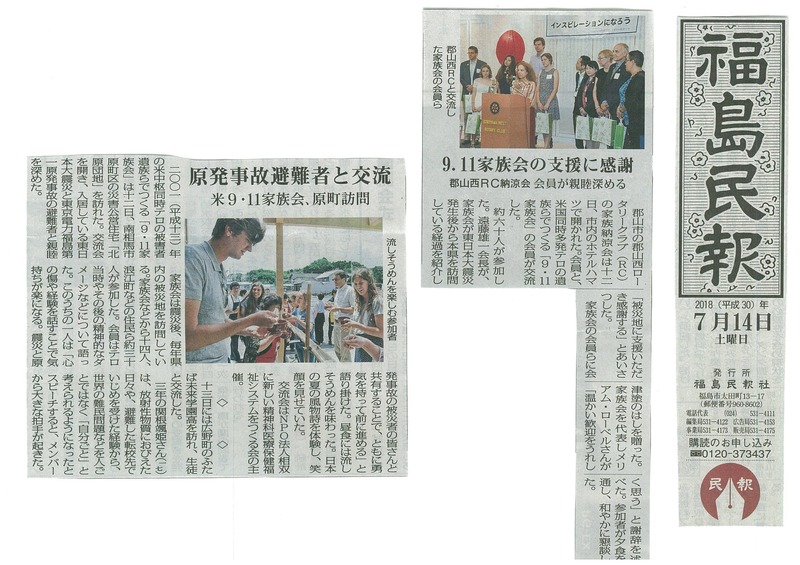 September 11th family including two high school students visited Fukushima and met with students of Futaba Future School which opened after Fukushima nuclear power plant disaster. After being bullied as “contaminated Fukushima kids” in Tokyo, Futaba students gained appreciation and desire to tackle global immigration issues. 9/11 Family also visited Fukushima Daiichi power plant to learn about enormity of decontamination process. 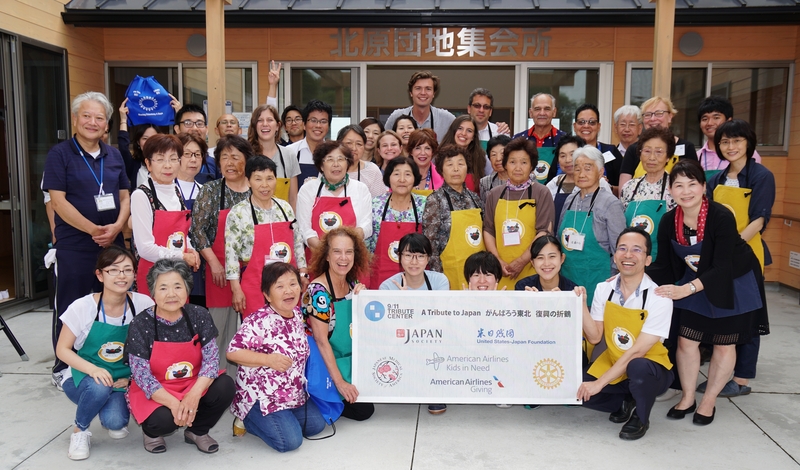 Below Right – In appreciation for 9/11 Family visiting Fukushima annually since 3/11, 60 Koriyama West Rotarians welcomed them with a summer reception. Below Left – 9/11 Family’s annual visit to 3/11 evacuees in Soma was held at Kitahara Disaster Public Housing Units. 30 residents listened to 9/11 Family speak how “together, we can share courage to move forward.” Afterwards, they all enjoyed flowing somen noodle together.